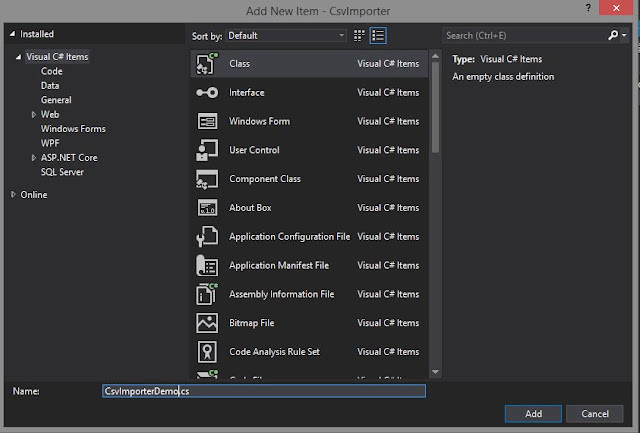 One common requirement is to deal with external files, especially CSV files. Because in theory CSV files are simple, developers tend to rush and implement their own parsers. However, it takes a lot of work (and uncountable bugs) to write a good CSV reader/writer. The effort is simply not worth it: you shouldn't repeat yourself. 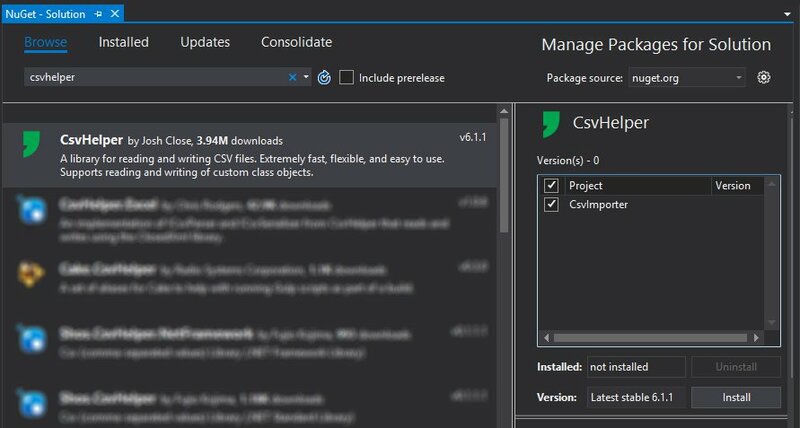 Luckly, the good fella Josh Close has built the excellent CSVHelper for us. 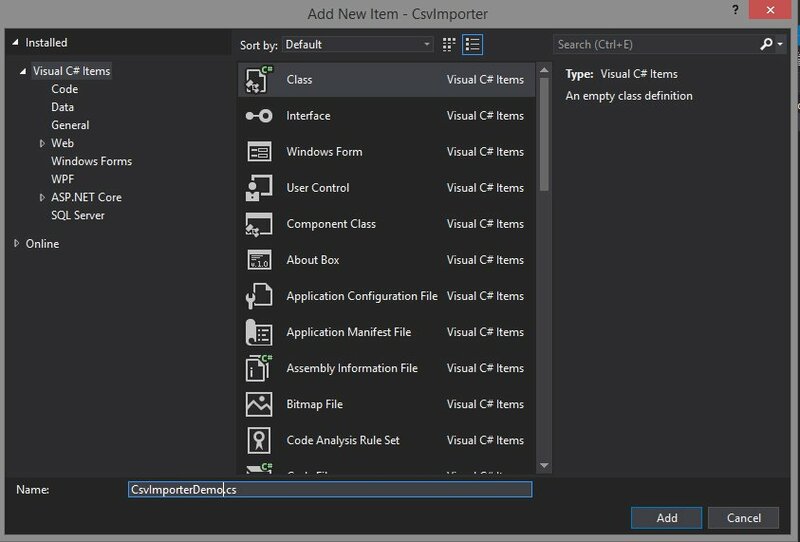 Let's review then a very simple use case to demo how can we import CSVs, parse them to a strongly typed model using CSVHelper. Next, add a nuget reference to the CsvHelper nupkg to your project and accept the terms. I called it CsvLine. 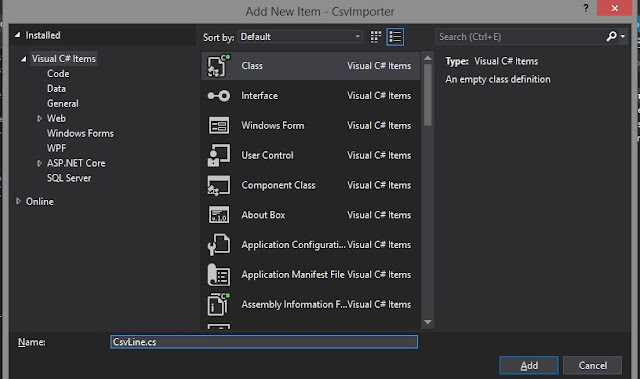 This class represents each of the imported records in the csv, apart from the header. Note: this class name is very anemic. In a production code I wouldn't name it if I needed to use that class elsewhere but for this post, it helps simplifying the explanation. 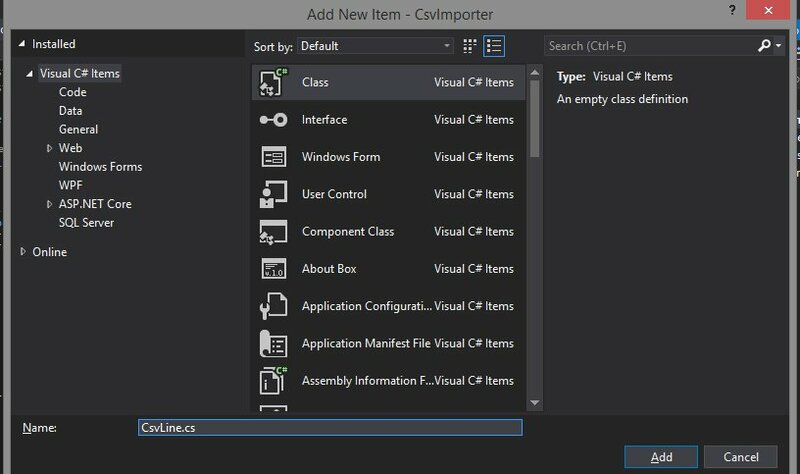 Next, add a class to your project (Project -> Add -> New Item) [or just Alt-Shift-C when selecting your project in Visual Studio's Solution explorer] called CsvImporterDemo. This class will act as the facade of my project containing the logic to orchestrate the execution flow. Yes, you're reading it right. It took only 1 line of code to import that csv [line 23]. All set! Now, before we run it and see the results, let's add a nice tip. 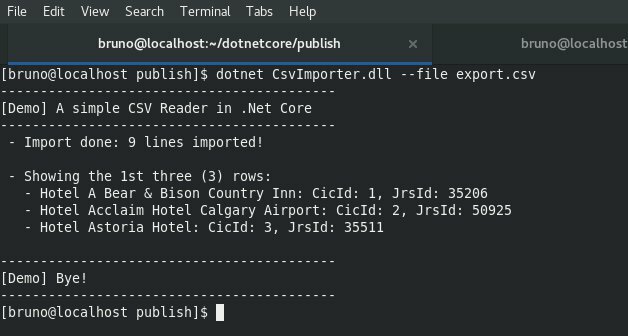 In the future, I will address .Net Core on Linux in more detail so keep tuned! The source for this project can be found here. 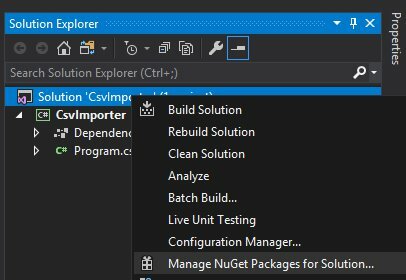 run to run run a .Net Core app in Linux.